A mission map that will include Multiple Variantks of the Original Killing Floor Specimens, Hiyokomod Specimens, WTF Specimens, the Doom3 Specimens as well as the Brute and the Shiver. It will also include the all default Killing Floor Weapons, Hiyokomod Weapons, IDC Weapons, WTF Weapons, the Portal Turrent and the Spider bot. As an Upgrade, it will have Server Perks V4 and maybe Hiyokomod Perks. If the Hiyokomod Perks are included, It will also give you insturctions on how to make Server V4 Hiyokomod Fusion Perks. All the Creators of the Mutators used in this map. Tripwire Interactive for making such a great game! Unreal for making such a great Software Delvelopment Kit! Hey Omega, message me back on Steam, I'm interested in working with you on this. 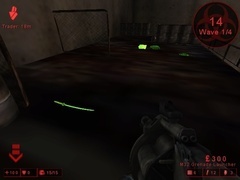 There will be a 10 Minute Self-Destruct Sequence that players have to activate before they can escape. If they can escape in time, they win, if they can't the whole team dies. 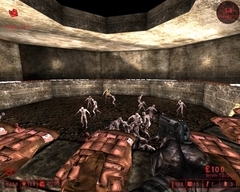 NOTE: As the map gets bigger, the escape sequence will get longer and so in the end, the player might have 30 Minutes to escape lab and survive. That's all. Pictures will be uploaded soon. This is a mission map that will include Multiple Variants of the Original Killing Floor Specimens, Hiyokomod Specimens, WTF Specimens, the Doom3 Specimens as well as the Brute and the Shiver.